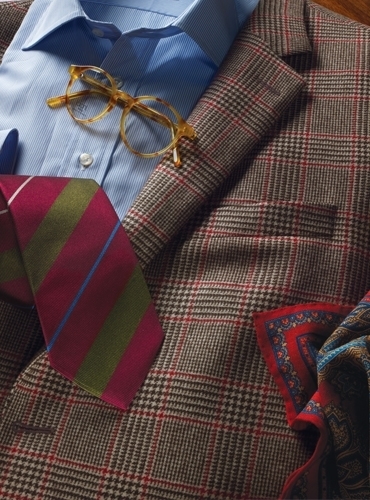 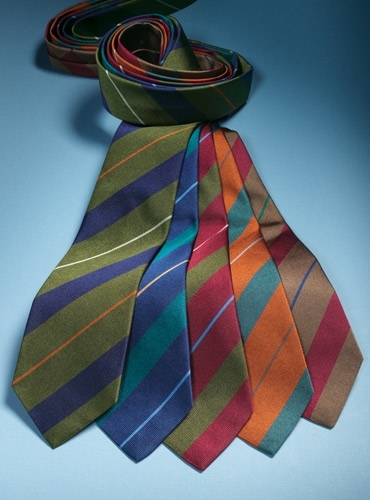 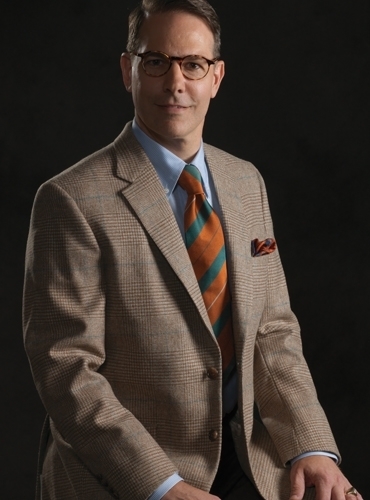 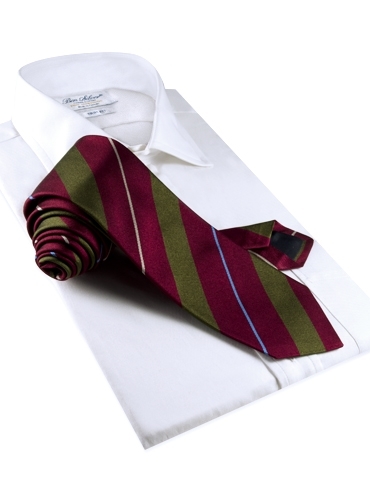 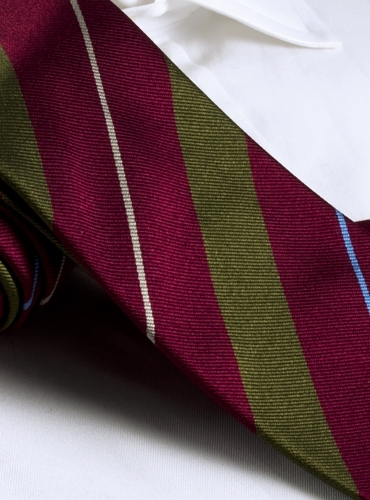 Pure silk multi-stripe neckties made in England by Drake’s exclusively for Ben Silver, available in five color ways. 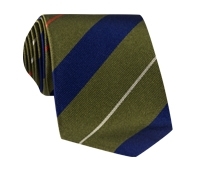 Shown here in C-ruby and field green with silver and cornflower. 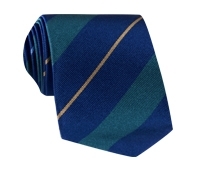 Also available in: A-field and marine with silver and henna; B-marine and teal with silver and cornflower; D-henna and teal with silver and nutmeg; E-nutmeg and ruby with marine and Kelly.